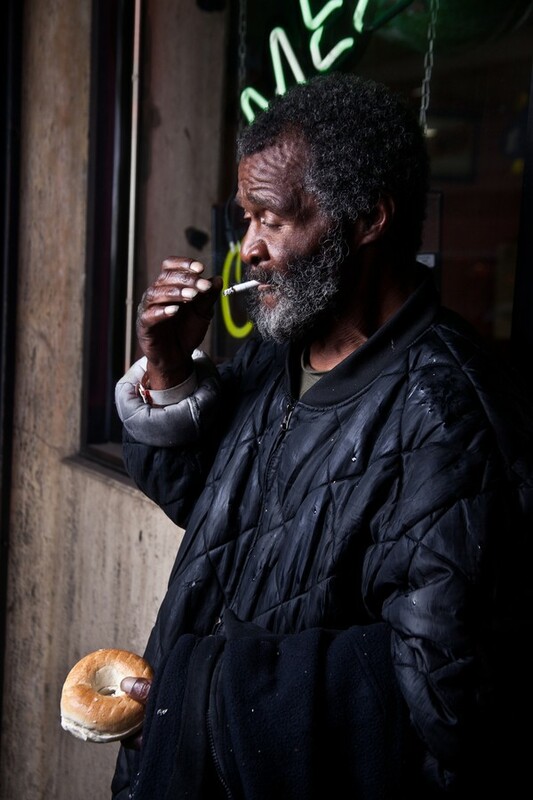 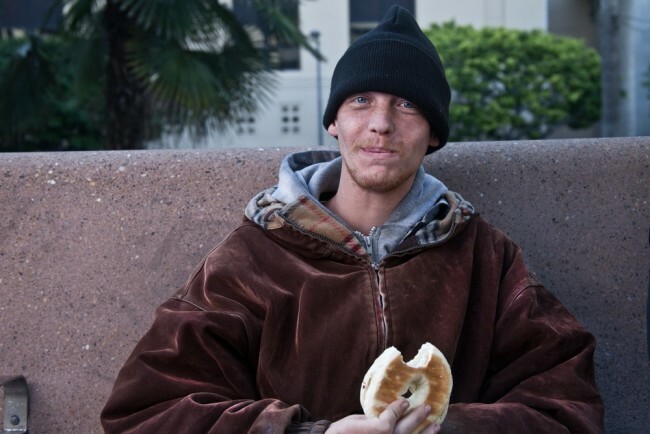 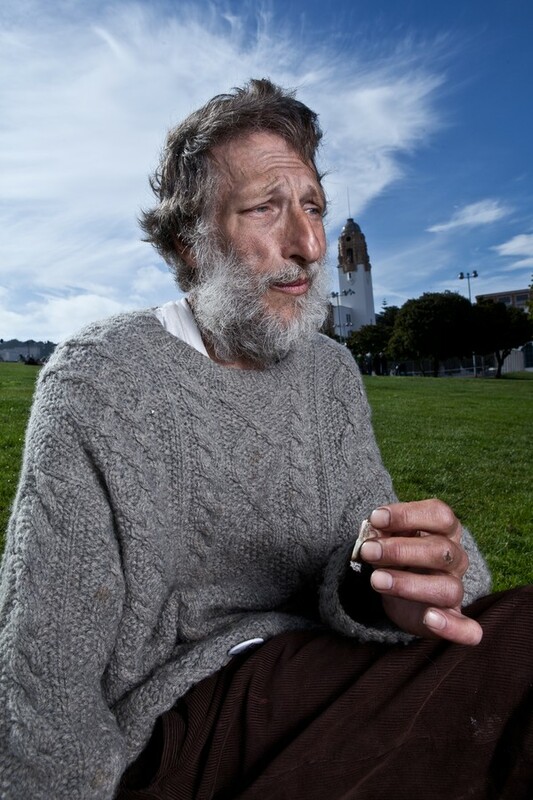 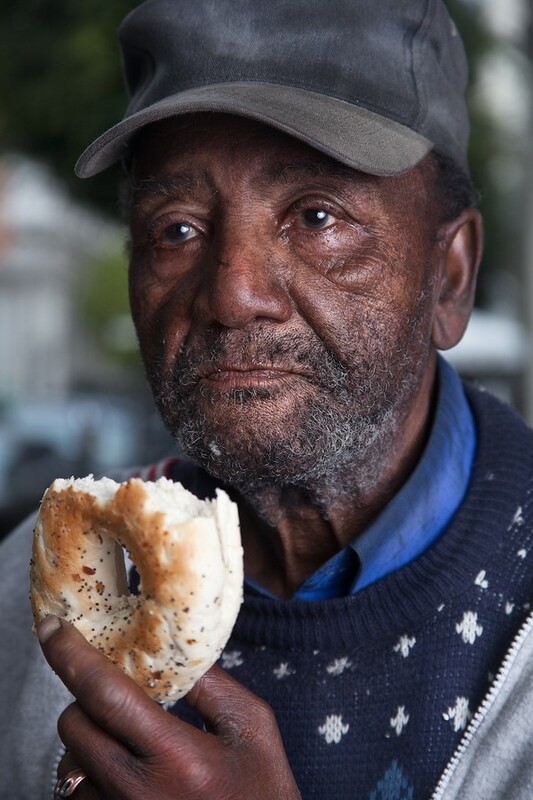 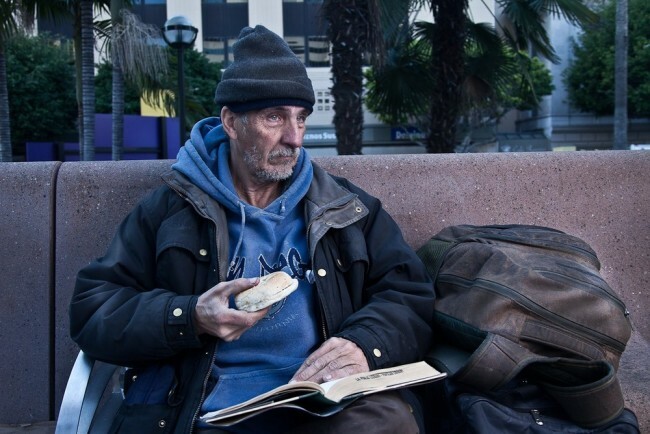 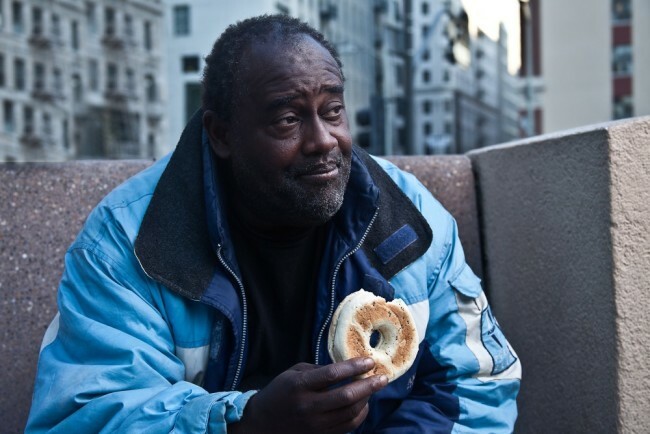 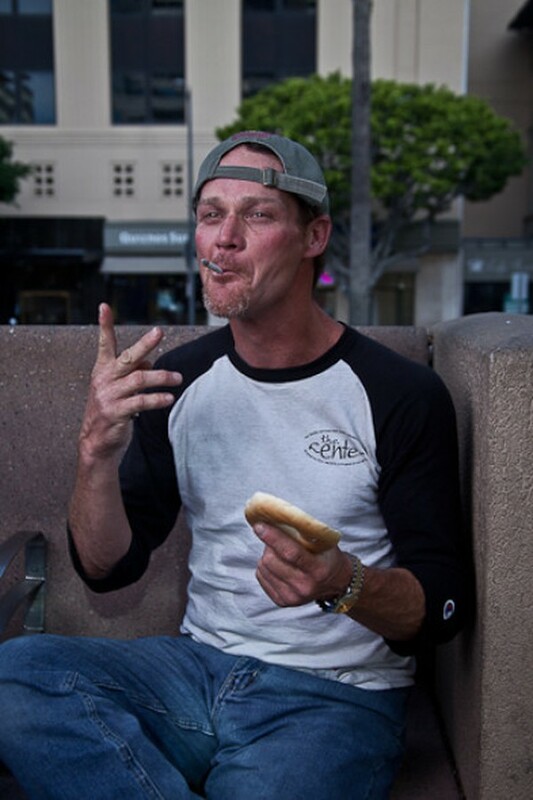 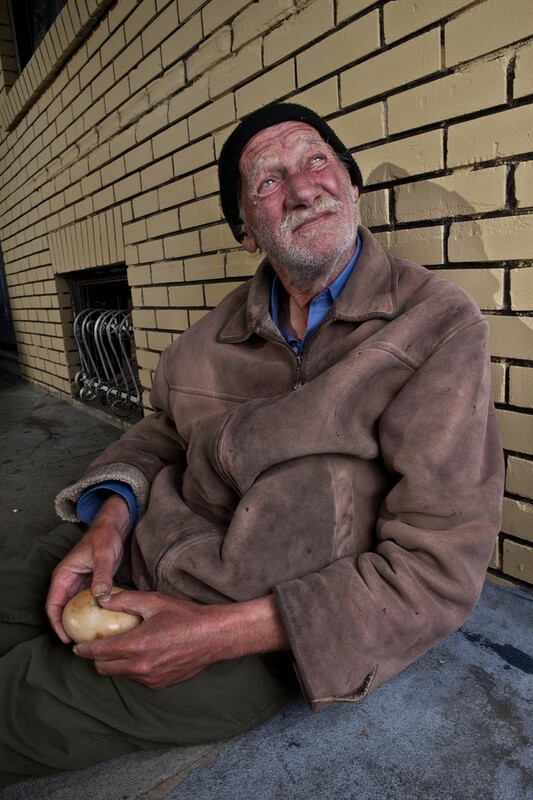 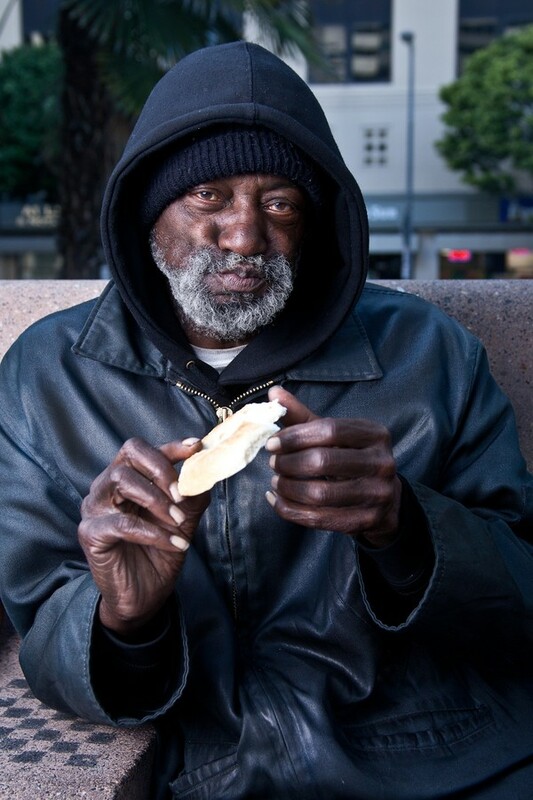 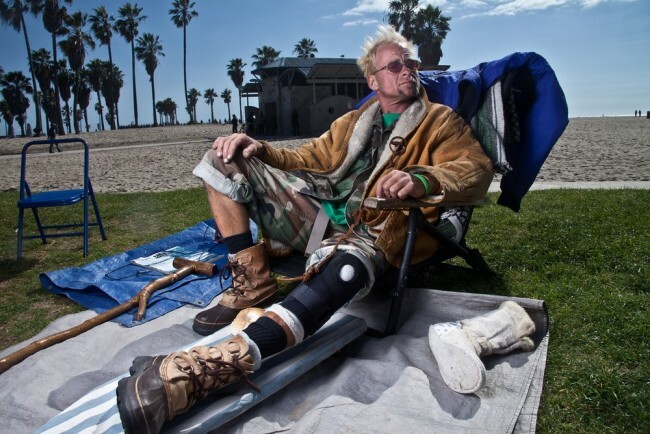 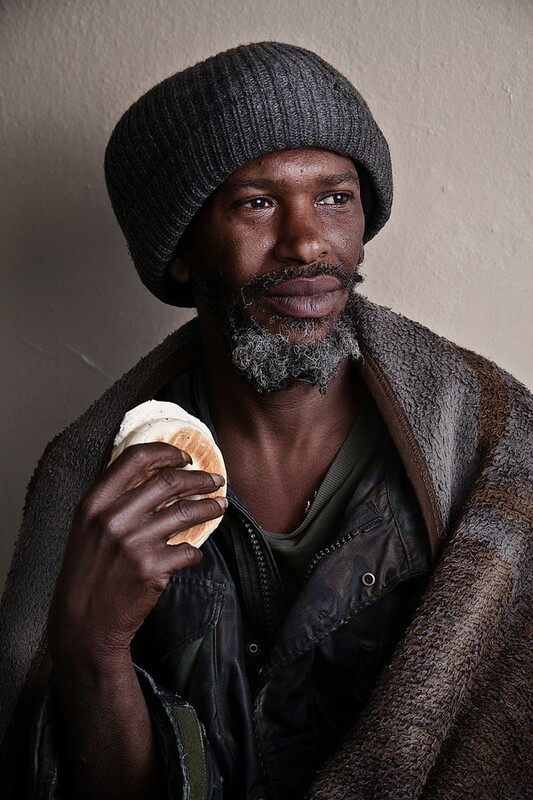 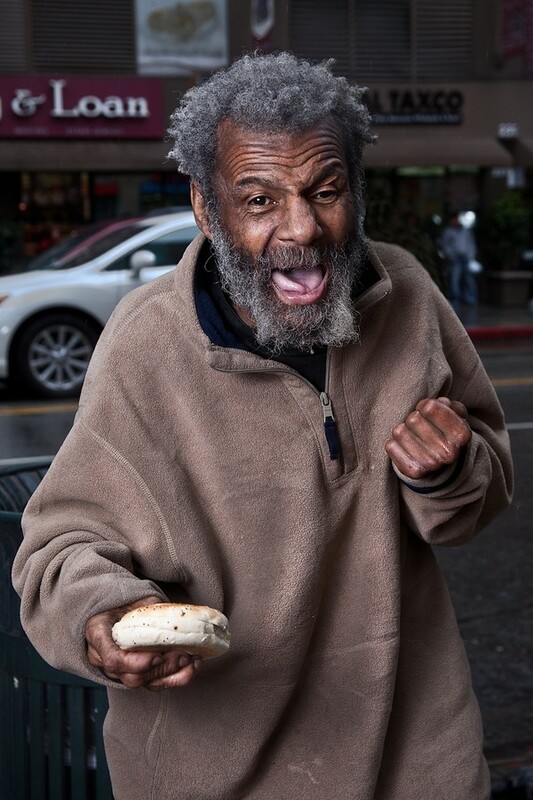 American photographer Justin Bettmann photo project in the framework of The Bagel Project treats the homeless bagels in exchange for a portrait and history of their lives. 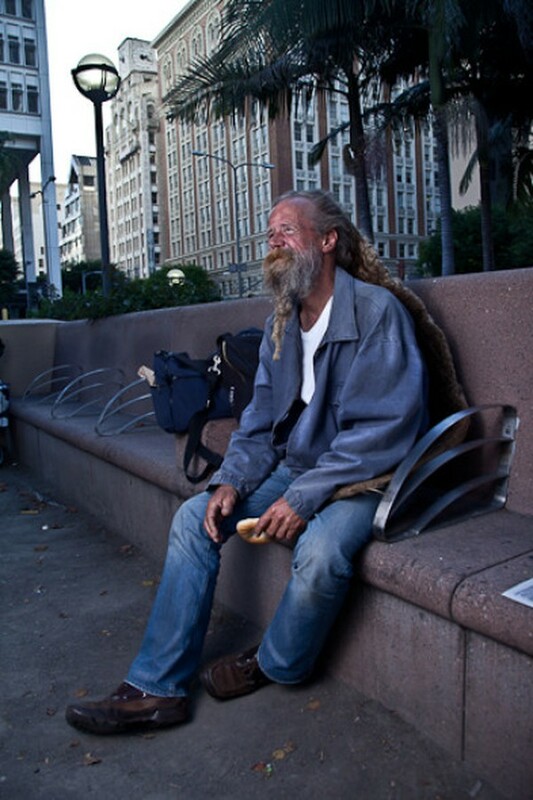 Here is what the Photographer: “Since Last year I Live in the heart of Los Angeles. 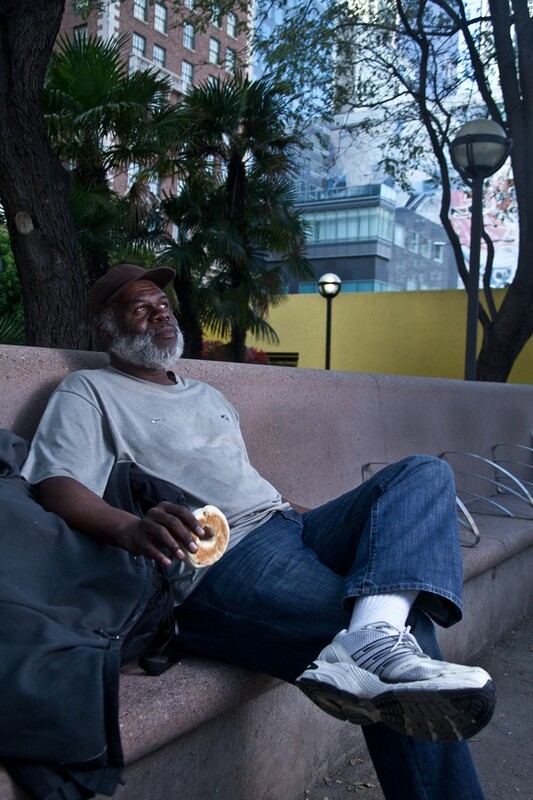 Like Any City, Los Angeles is full of voices. 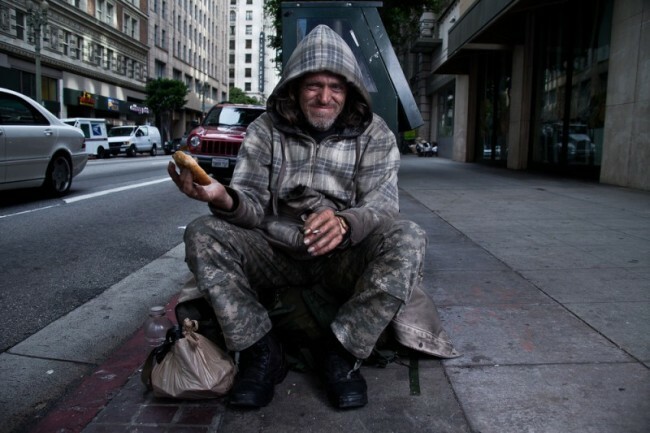 We are accustomed to Hear only the voice of the rich and Famous; Their Songs and speeches Replacing voices of Ordinary people living in the City. 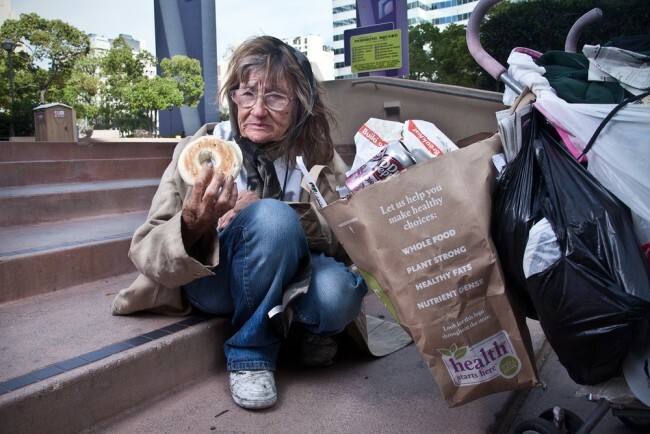 In cities such as Most Los Angeles, we are starting to Get USED to people Sitting on the Sidewalk or pushing broken trolley from the supermarket. 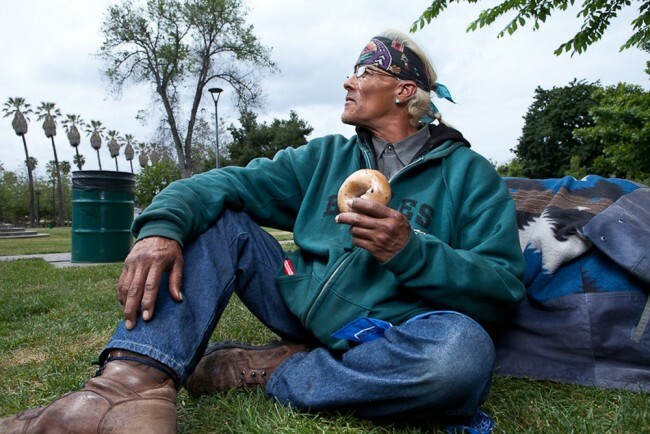 These people Say to by themselves, Because nobody listens to Them. 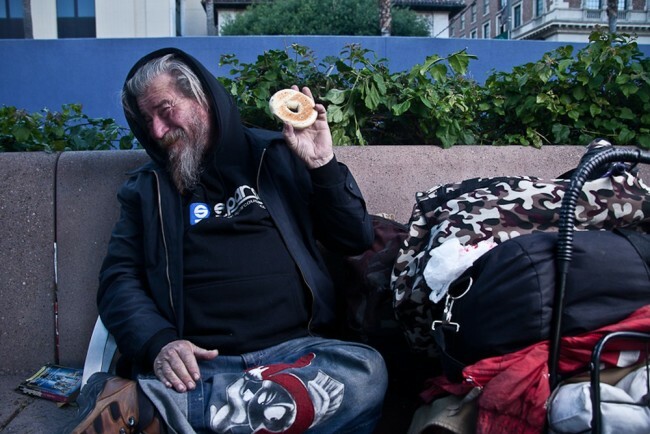 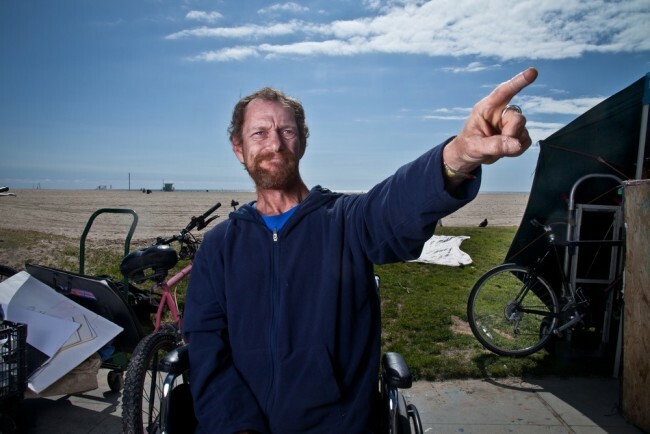 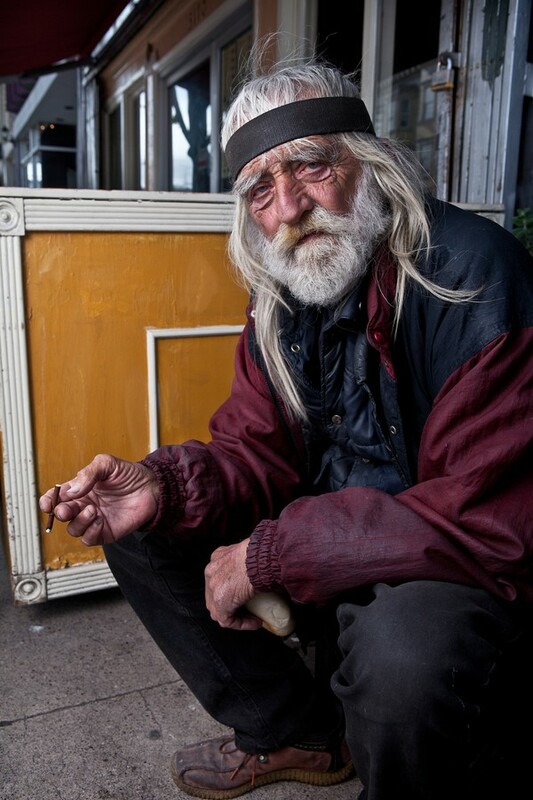 About Homeless in our cities are often overlooked, while they become part of the city itself, fit into the city as lights, traffic lights and other things that we see a hundred times a day.